It's hard to take pictures of Antequera. Tight and v-shape city on a slope. In any case it is interesting that another 2 days of walking will land me in Malaga, a major transportation hub (flying in/out from anywhere in Europe/world). It would cool to be able to start walking the Camino Mozarabe from Malaga after flying in although majority of the castles are on the Granada route. First about Camino Mozarabe. This is the Camino with the most variants. 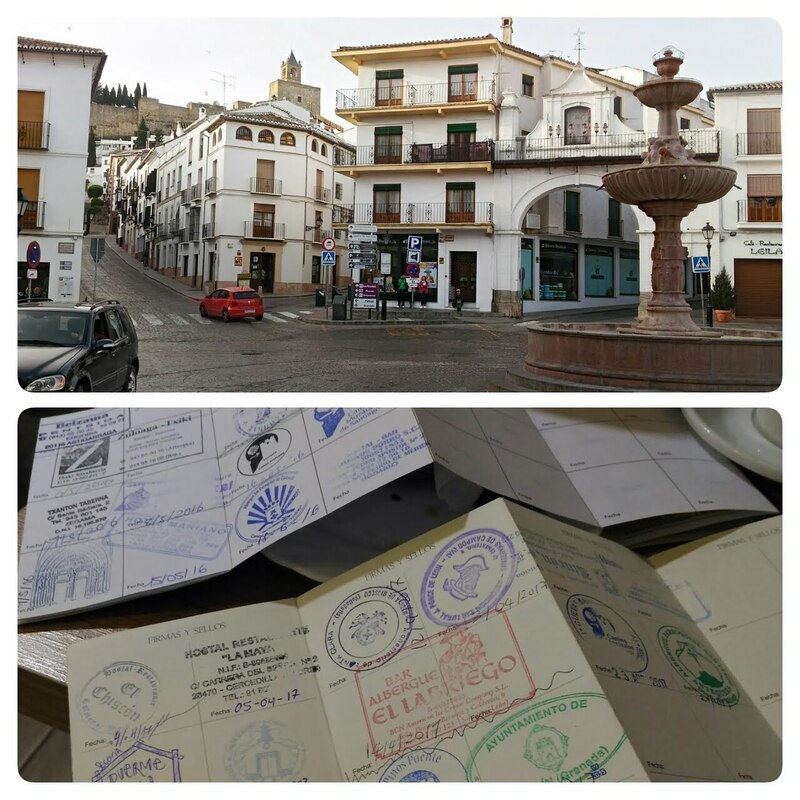 Granada-Baena, Malaga-Baena, then to Cordoba and ending in Merída where it joins the Camino via de la Plata. There is also 2 days from Jaén to Alcaudete and even Almería on the coast to Granada (I will give that a pass). I am happy to be able to cover as much of the both the Granada and Malaga route this time. This is also my most unusual Camino, cycled Cordoba-Merída previously, walking Granada-Baena then opposite way down Baena-Antequera. I didn't even have a credencial for this Camino, using the credencial for Camino Vasco last time and Camino del Madrid credencial this time. Overall Camino Mozarabe is unique, more technical and feels a little odd from the other Caminos because this whole region is like holiday place, hehehe. Camino Madrid was better than expected. The beauty of the mountains in north Madrid and crossing it to Segovia. The best of all, the open spaces in the mesata to Sahagún. The open mesata uniquely Spainish. There is something about it that calms the mind and spirit. That's it from me for now. The blog will hibernate until the next Camino.